Toddlerhood is full of intense emotions and transitions over which they have no control. They are discovering their independence, while, at the same time, still requiring much dependence on their parents. Striking a balance between dependence and independence can be difficult for them. Plus, they still lack the vocabulary to tell us how they feel or what they want. On top of all of this, as they can finally walk, climb, and run in order to explore their world more fully, there are limits added that weren’t there before, and sometimes they may not always get what they want. Yes, toddlerhood is not an easy time for toddlers or for their parents. Developmentally, they cannot control their impulses. They test everything out of curiosity, not maliciousness. It is up to us to guide them through this tough stage of development. When toddlers get upset, it is important to figure out why and validate their feelings. Usually a full-blown meltdown can be avoided if we are aware of the toddler’s needs and intervene with offers to help them. If they know we hear them and will validate them, they are less likely to completely meltdown. It is also important to tell toddlers what is expected of them. For example, if we are going to the grocery store, we need to tell our toddler what we will and will not be buying at the store. This will help them not be so disappointed when we remind them that candy wasn’t on the list when we are at the store. A well-fed, well-rested, and well-loved toddler is less likely to have a meltdown. Providing children with appropriate ways of getting out their anger and aggression like punching as pillow, doing an angry dance, kicking a ball outside can be another way in which we can help prevent full blown meltdowns. Calm me jars also help. Fill a plastic bottle with water. Then pour glitter in. Duct tape the cap on and give it to the child when he/she is upset. He/She can manhandle it. As he/she calms down, he/she can watch the glitter settle. We can then talk to him/her about his/her feelings. It’s always better and more Biblical to help children work through their negative feelings rather than punish the child. But despite everything that we may do in order to prevent toddlers from having meltdowns, there are always going to be times in which a limit has been set or a “no” has been given to something the toddler really wants and the toddler is going to get very upset and have a meltdown. As upsetting and tiring it is for us, this is a normal stage of child development for young children and is just as upsetting and tiring for them. As Christians, it is also helpful for us to remember that the child is not being sinful. He/She is trying to communicate with us using their very primitive communication skills. When meltdowns happen, it is important for us to remain as calm as possible. A toddler in a meltdown cannot control themselves as their brains are in overload. Scolding and punishing them will not help. They need us to gently but firmly help them get through the meltdown. Having them in a safe place where they can’t hurt themselves, others, or property is important. Quietly saying, “You’re showing me your big feelings. You’re so angry. I am here.” is helpful. But, try not to say too much as it could agitate them even more. 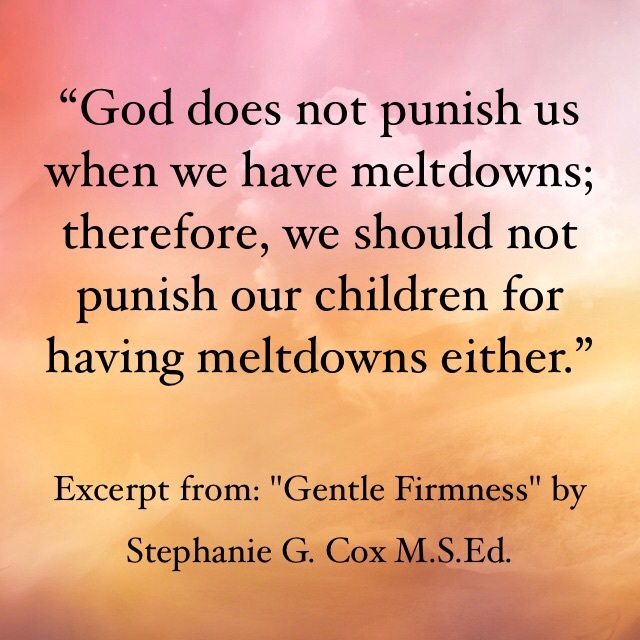 Some children may find gentle restraining helpful while others just need room to work through the meltdown. At the end of a meltdown, it is okay to talk to the child about more appropriate ways of dealing with their anger. If they made a mess during the meltdown, have them help you clean it up. This should not be a punishment. Make it fun. Also, right after the meltdown, pray with your toddler to help him or her feel God’s peace within him or her. I also recommend singing a favorite Christian song after the meltdown. 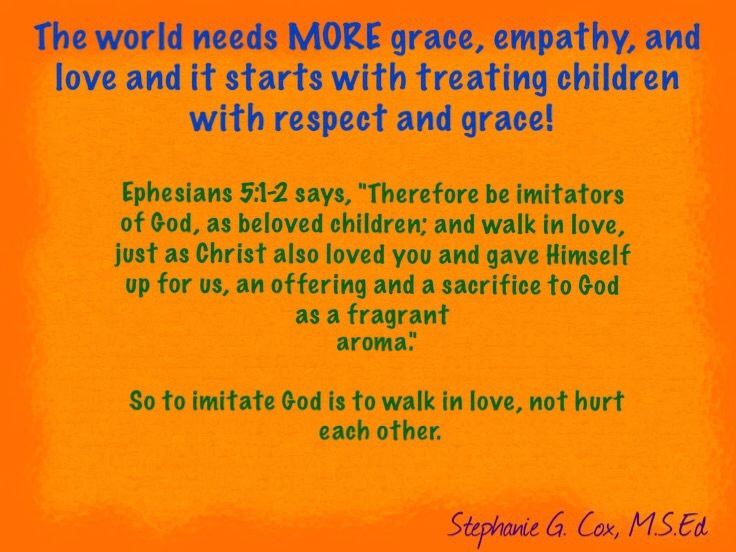 Children must learn that God loves them no matter what, and we do too! Helping children co-regulate their feelings by validating them and providing for their needs allows for children to become emotionally healthy and able to cope with the disappointments of life appropriately. After all, this is what God does with us. He validates our feelings and our hearts. You see, being disabled in New Testament times was quite a hardship emotionally as well as physically because the people treated people with disabilities as beggars. They were outcasts. 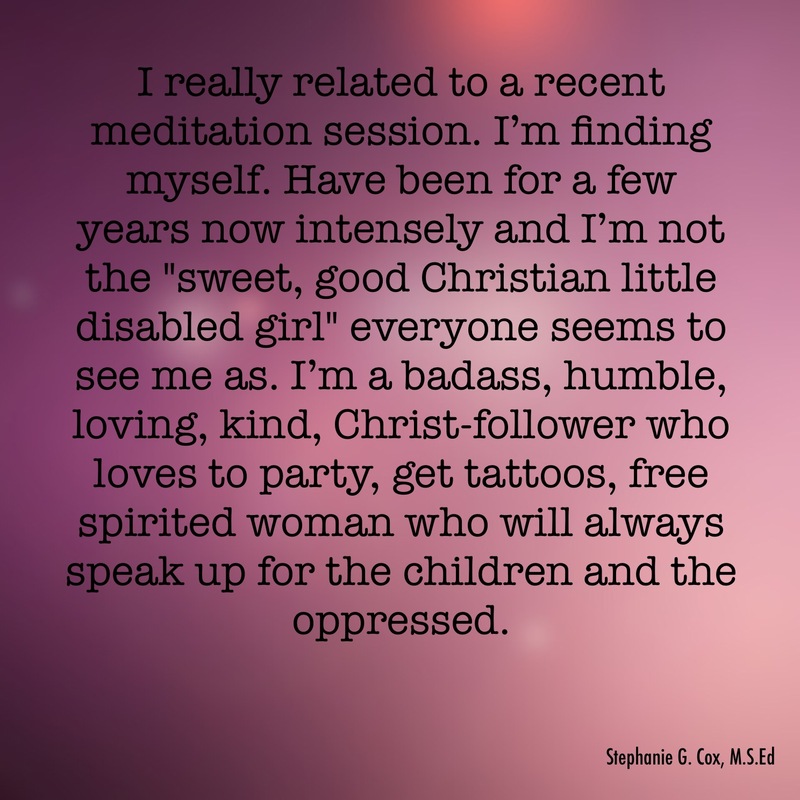 Some even believed that they were disabled due to sin, which John 9 shows isn’t the case. Jesus is more concerned with our hearts than our physical beings. 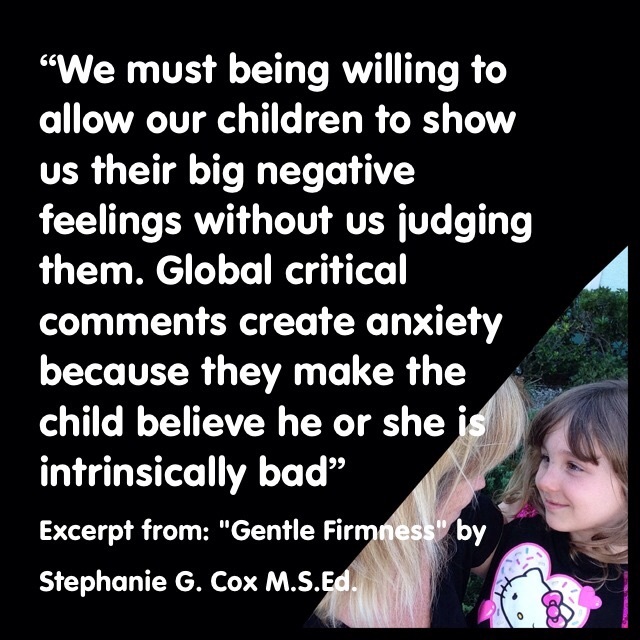 Gentle but firm discipline allows children to identify and deal with negative feelings. They learn to express them appropriately. By positively helping children work through their feelings, they learn we will always listen and help them. This will lead them to come to us, and, ultimately, to God when they are in need.